It’s our official Launch Party and it’s going to be a Night to Remember! Sydney’s newest exclusive events club Chemistry Collective invites you to experience an intimate and exciting evening with a difference! Come join us at the stunning and sophisticated Chapel Room at the Greenwood Hotel for a night to remember. The old world venue will be dressed to impress with our very own classic “Chemistry Collective Black and White” theme. Dress fabulously and be greeted with smiles by Chemistry Collective hosts, indulge in our chef’s selection of canapes, enjoy sparkling beverages and meet new like-minded friends. Our event will cater for everyone, whether it’s kicking up your heels on the dance floor, a cozy chat on our lounges or a casual conversation around our styled tables. If you want to try something new this year this is the event for you! 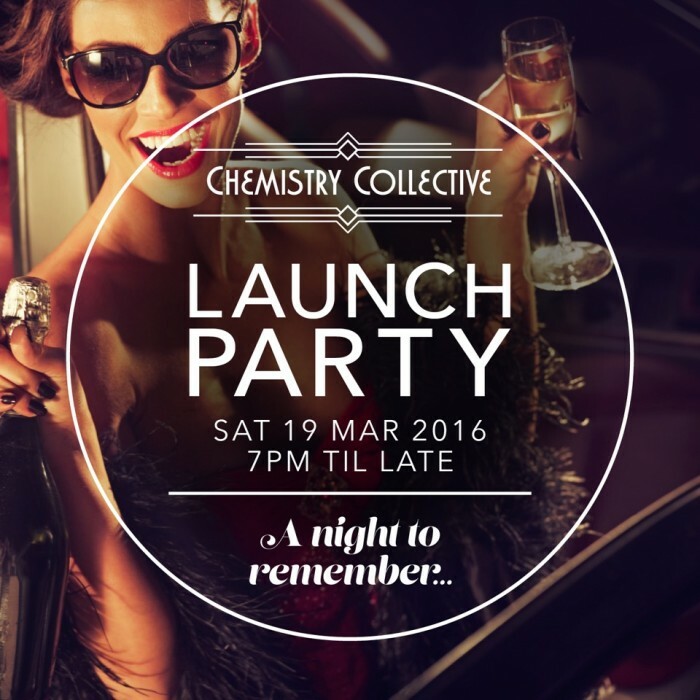 That special someone might even be at the Chemistry Collective Launch Party waiting to meet you! Members sign-up HERE to receive your official invite.